This post brought to you by Liberty Hardware. The content and opinions expressed below are that of Girl in the Garage. 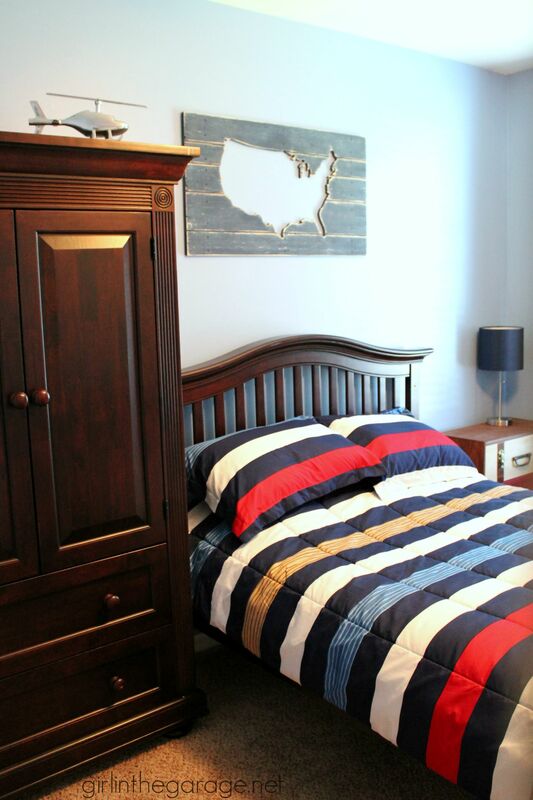 A year ago, I gave my now-7-year-old son’s bedroom a big makeover. You can read all about it HERE. But what I didn’t tell you is that there were a few spaces left unfinished. 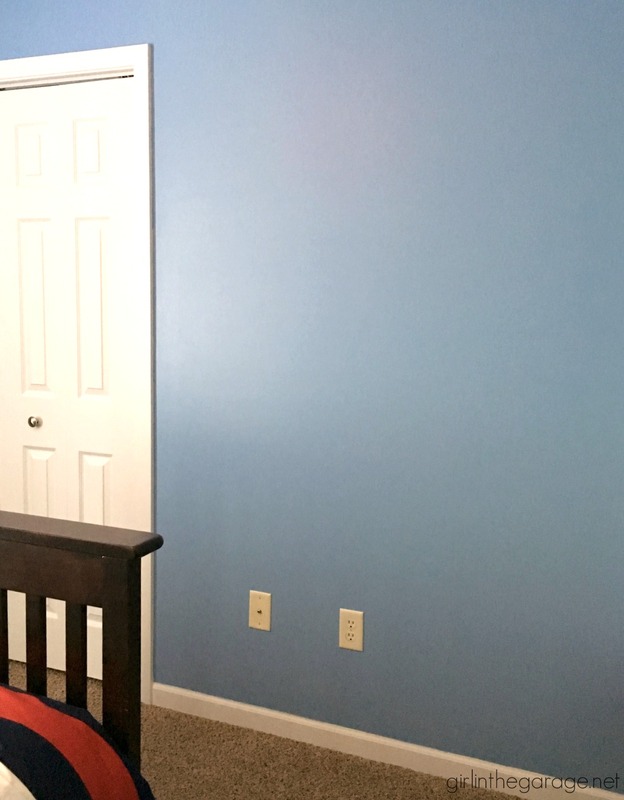 Like this wall to the right of his closet, a blank space with lots of potential: There’s not much room for furniture there because the door swings open and covers half that space, so I wanted to find something to hang on the wall that would go with the existing decor, be functional, and grow with my son. How to hang: First, measure and mark how high you want to hang the rail. 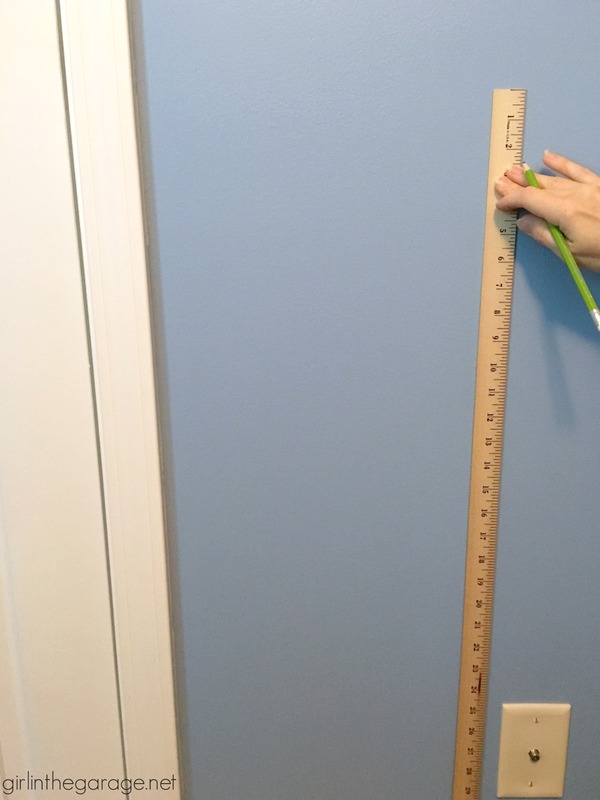 I placed the yardstick above the trim and then just marked the top of the yardstick in several areas across the wall. For an adult you’ll probably want to hang yours much higher. 😉 Hold the rail up where you marked and use a level to make sure it is completely straight. 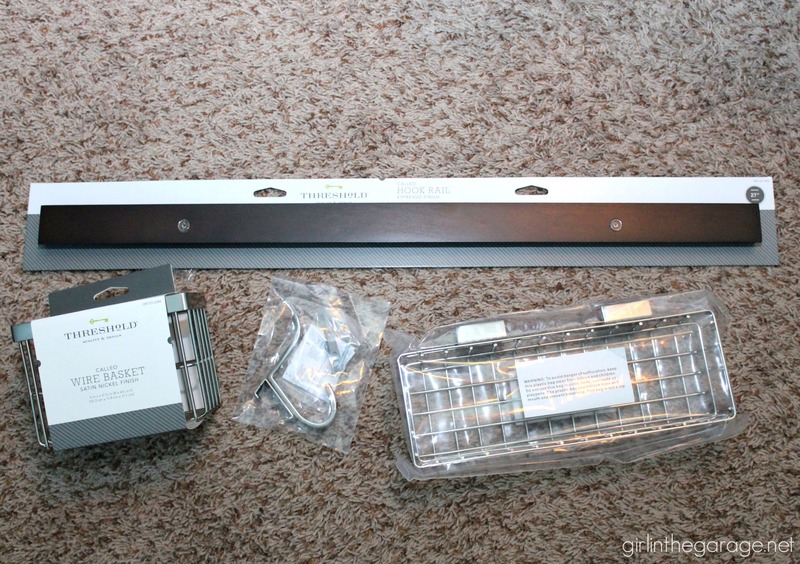 Next, use the enclosed screws to hang the rail on the wall. 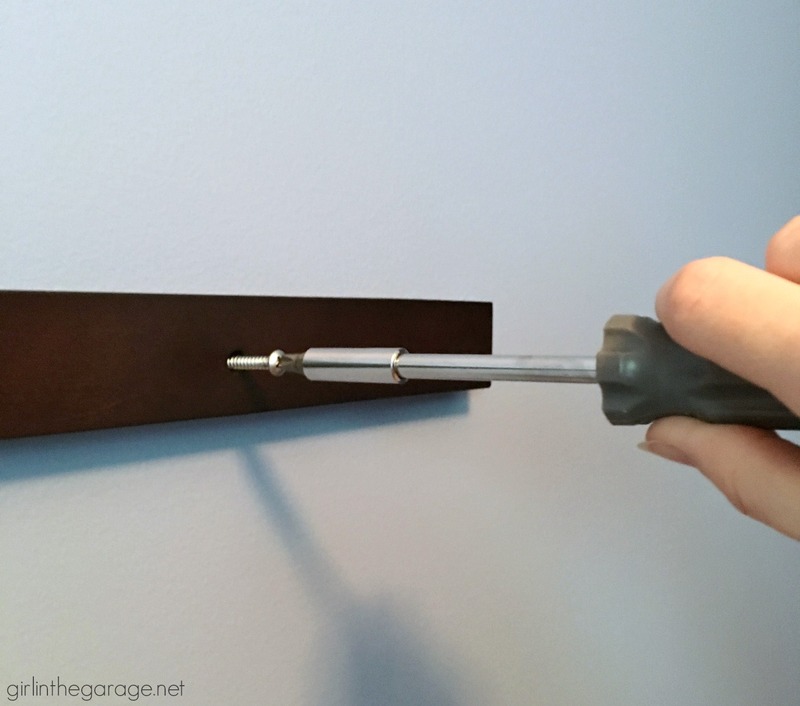 You can use a drill/driver or you can just use a simple screwdriver. I opted to do it the basic way and it was really easy. 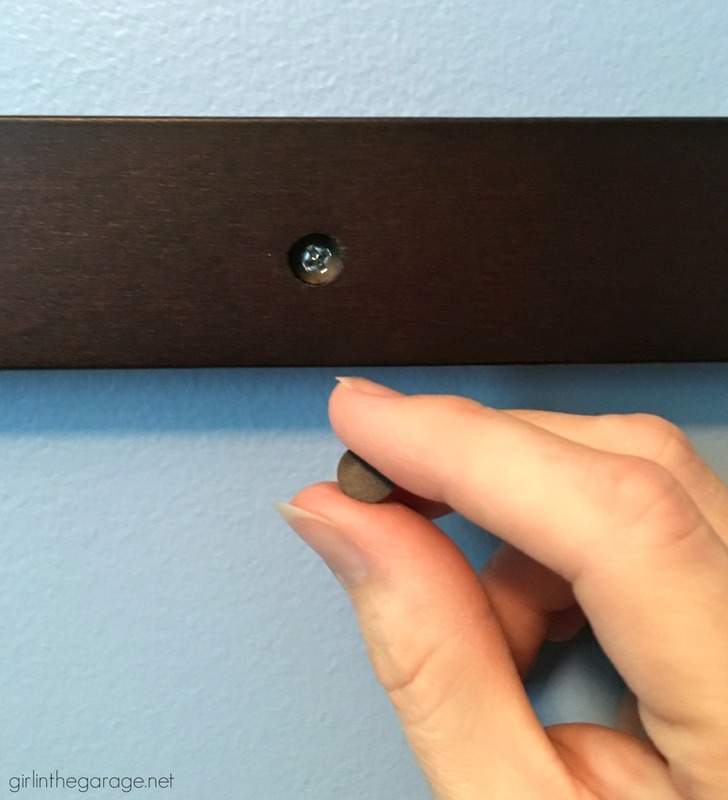 Once your screws are in place, the rail also comes with a couple little “buttons” which you can use to hide the screws. Add your baskets or hooks and you are finished! As you can see below, the rail has a little groove on the top back, and the accessories slide across while hugging the top and bottom of the rail. 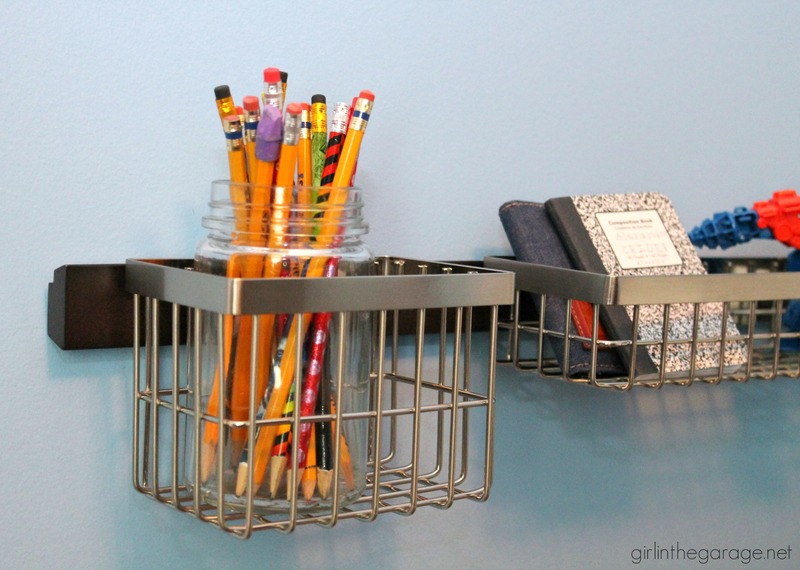 We chose a deep basket, a shallow wide basket, and modern hook – all in stainless steel. There are other styles of baskets and hooks also available. 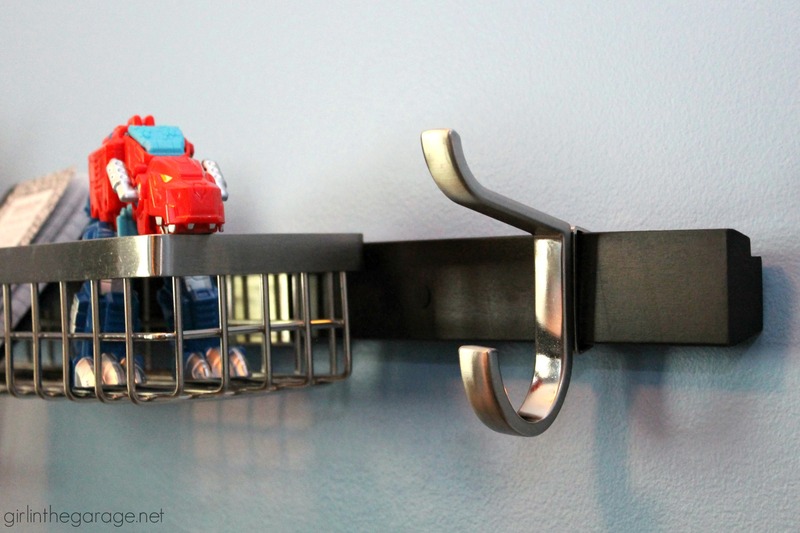 Oh and the hooks come with hardware to be mounted directly to the wall if you don’t want to use it on the rail. 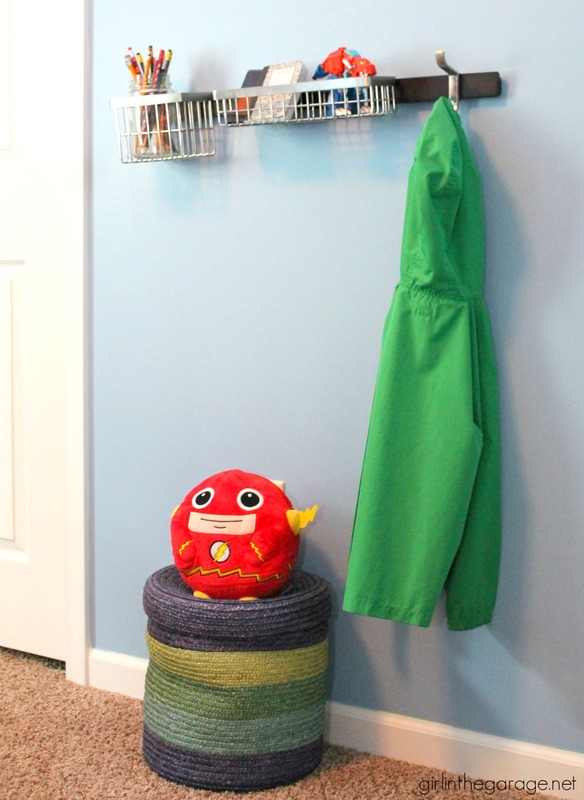 The baskets are helpful for corralling some of the clutter in my son’s room and keeping one of his jackets hanging within each reach. The Calleo Collection would also work well in an entryway, laundry room, bathroom, closet, kitchen – so many places. It’s the perfect start to this wall and I’m still searching for a big piece of art or shelves to hang above it. I’m also considering looking for a narrow kids’ desk to put underneath it. 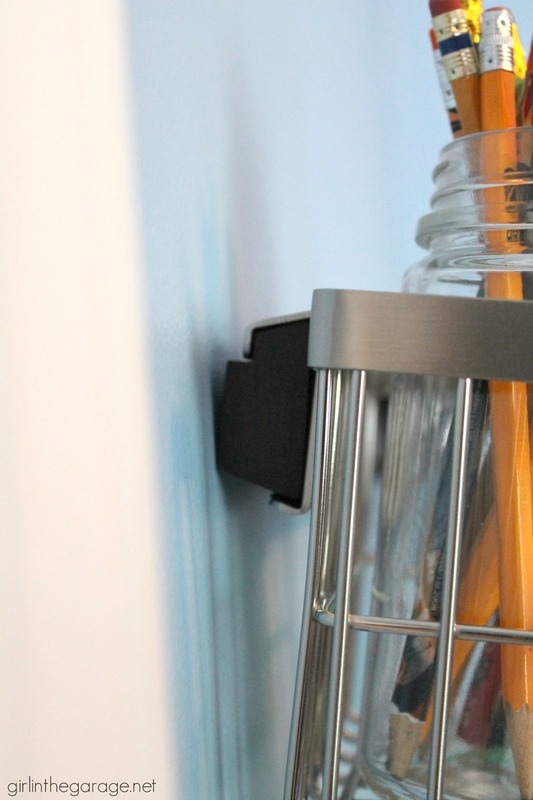 Say Hello to Calleo, say goodbye to messy spaces. 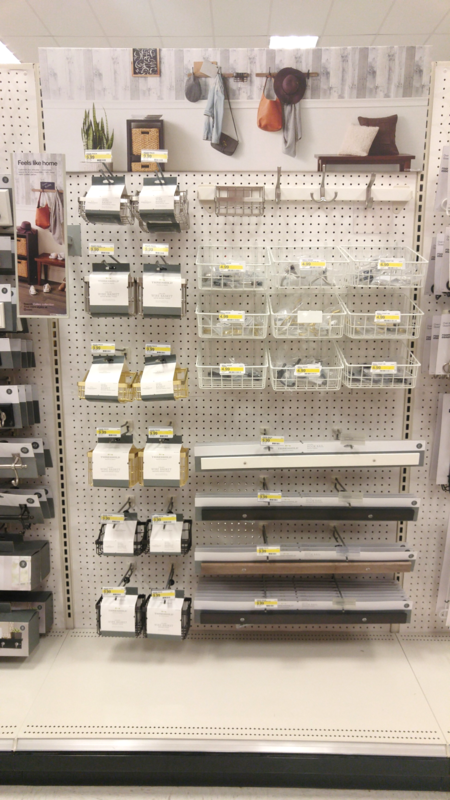 The Calleo Collection is sold Exclusively at Target (by Threshold branded), in stores and online at Target.com. What are your favorite tips for organizing small items and corralling clutter in your home? I could really use this system in my master bathroom. Love that it has several components in different styles. I love the baskets and especially that there are different sizes. I can picture a whole wall for spices in a pantry! 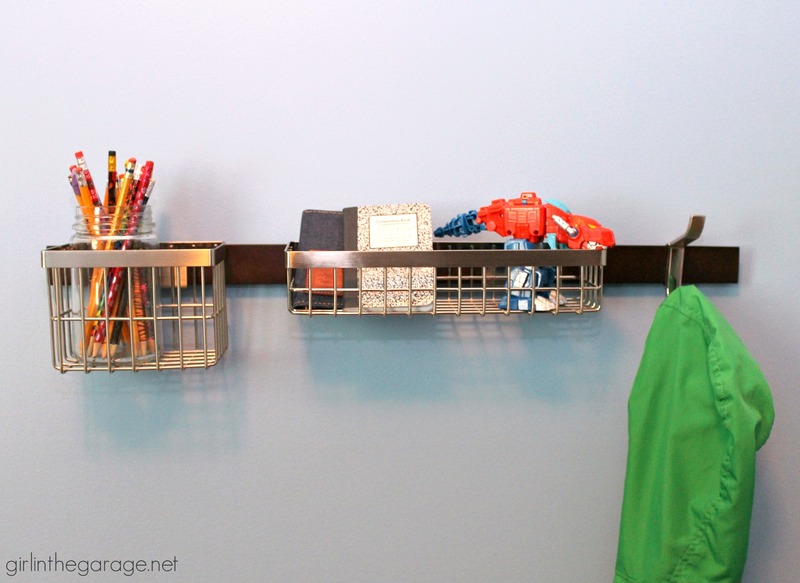 What a great way to help a little one organize his things! I could use this system for some of my craft supplies. The next time I am at Target, I’ll be sure to check it out. I love that this is totally customizable! Thanks for sharing! I need one of these in my entry way. Thanks for the inspiration! I think this would be a great addition to many rooms. My first thought is my craft room. It seems like I could use an unlimited amount of these beauties for storage.